Briese Group contracted Groot Ship Design to deliver the design and basic engineering package for four multi-purpose vessels. Schottel performed enhanced CFD investigations to determine the optimal aftship configuration incorporating nozzle support and streamline body between rudder and hull. As a result, a streamlined CPP installation will enable a power reduction of 3.7 percent. The vessels feature an open and closed top design for variable cargo purposes. Each will measure 89.99 x 14.8 m with a difference in draft between 5.30 m (open) and 6.65 m (closed, summer draft), and a carrying capacity of 3,400 t (open) and 5,000 t (closed). 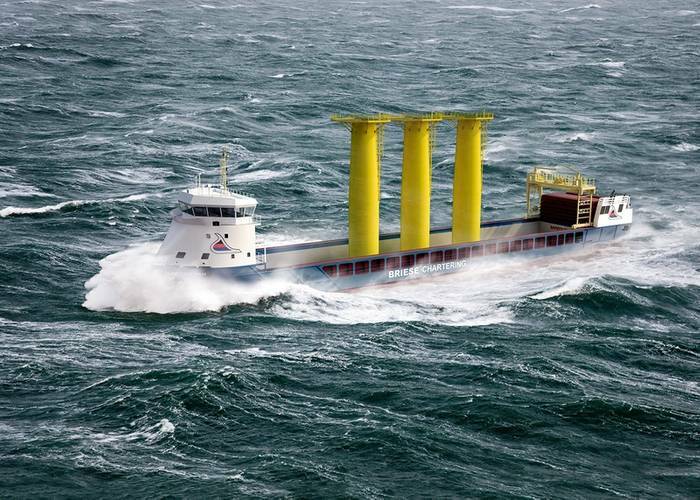 Propulsion is provided by a Schottel controllable-pitch propeller with a power rating of 1,600 kW and a propeller diameter of 3,500 mm within the nozzle. 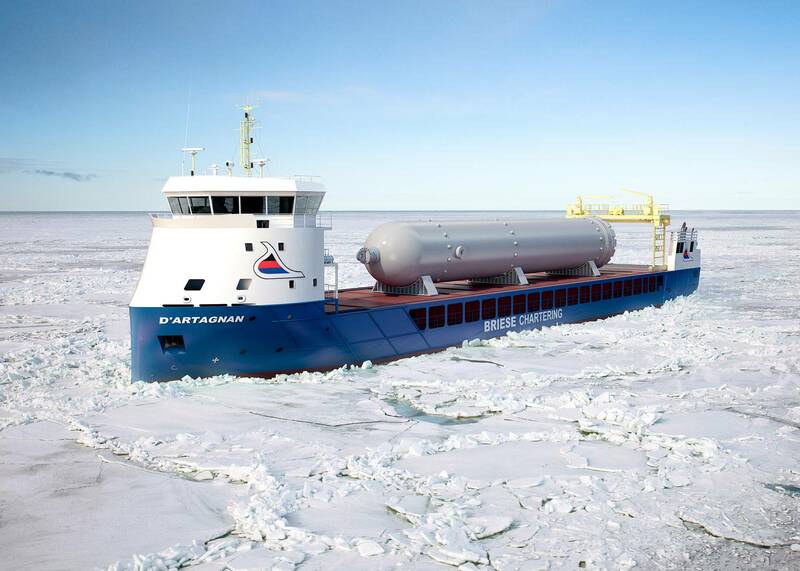 The vessels meet the requirements of Finnish/Swedish ice class 1A. Several actions were taken to optimize sailing on ice. Along with the operational experience of Briese and the new bow shape based on the Groot Cross-Bow by Groot Ship Design, Schottel carried out various CFD simulations to investigate the best performance of two variants in the aftship. Variations in headboxes without struts and with two additional struts were tested, aiming for the most efficient use of power under service conditions. In this process the position and shape of the struts were considered carefully. Prior model tests at the HSVA model basin as well as extensive calculations revealed features such as a non-separated flow around the struts and the small headbox, leading to a significant decrease in hull resistance. The HSVA model testing included resistance/self-powering tests, ice power testing and seakeeping. The result is a ship with very economical powering and a unique cargo flexibility setting a new standard in this range of MPP vessels.